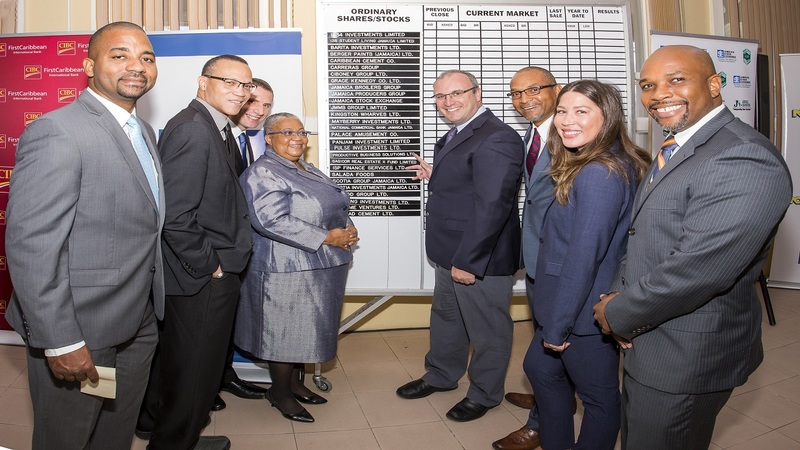 Productive Business Solution (PBS) Jamaica Limited is upgrading the local printing stock with new and improved equipment. 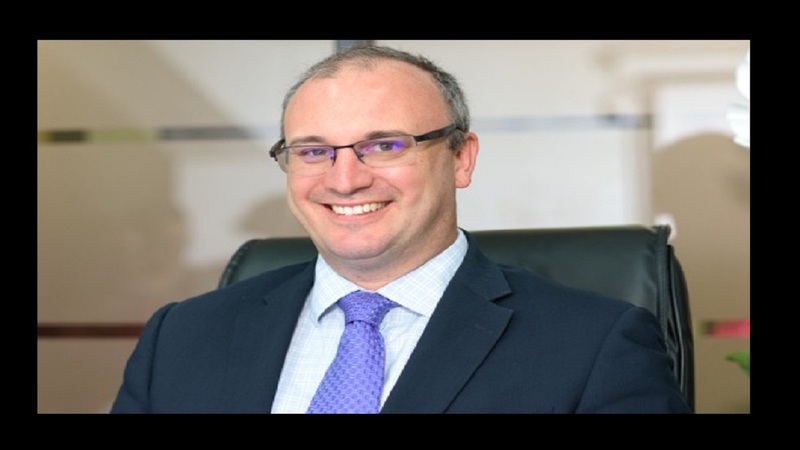 “This is an opportunity to delve deeper into what's new in our industry, in terms of new technology and new revenue opportunities,” said General manager of PBS Jamaica, Michael Lewis. He said the technology, which was shared at the seminar, has the ability to generate repeat orders and lift the standard of the colours being printed. "We are looking for opportunities to be more efficient and productive as well as ways to differentiate ourselves from others. This challenge for us as business owners and operators, caused us to work on and implement the latest technologies." 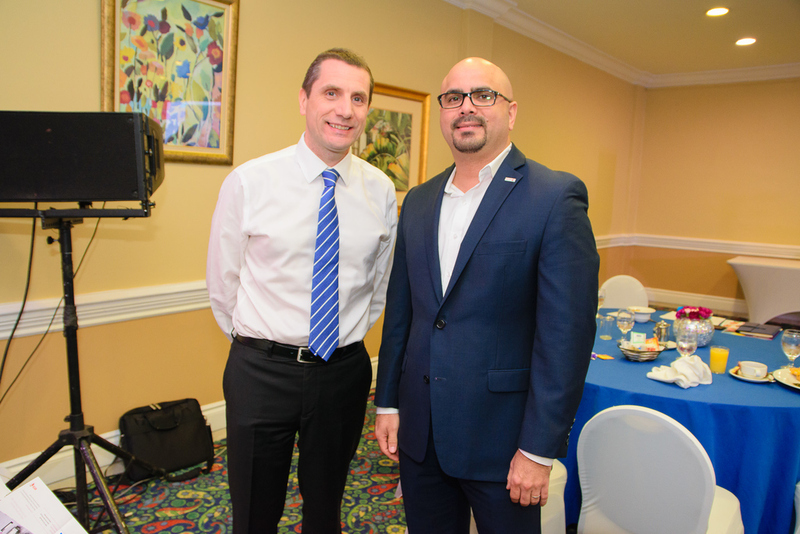 Jason Corrigan (left), Chief Operations Officer at PBS, with Norman Mayorga, Graphic Communications Field Sales Manager at Xerox Distributor Group Latin America. 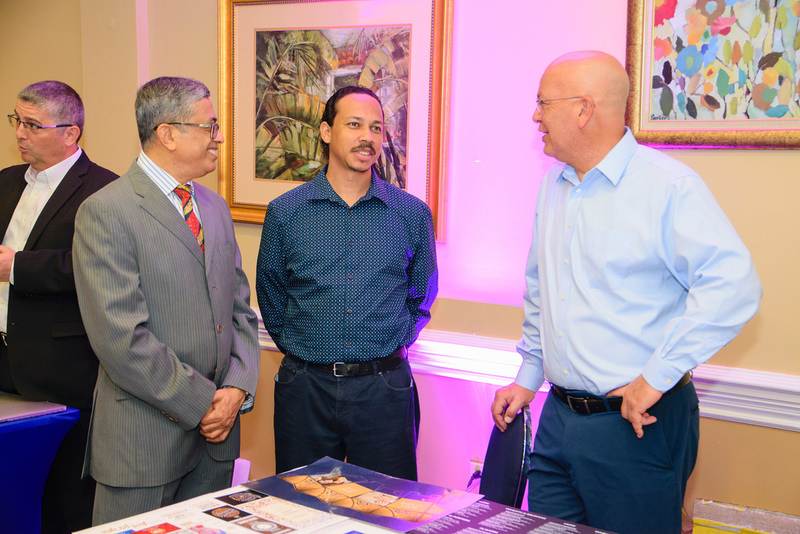 The seminar featured presentations from Norman Mayorga, Xerox's graphic communications field sales manager; Dan Doron, vice president for XMPIE (Xerox's leading print and workflow management system); and Jose Duenas, regional sales manager from Duplo USA. The trio demonstrated to service providers, the benefits of incorporating the new strategies and products into their businesses while moving towards improved efficiency and greater automation. Mayorga said that the Xerox Iridesse production press delivers a more "wow" impact on each printed page and the Xerox Brenva HD will enable users to introduce more colour into applications, reduce storage costs while consolidating workflows, presses and floor space. The XMPIE software will enable businesses to create and manage highly effective direct marketing and cross-media campaign. 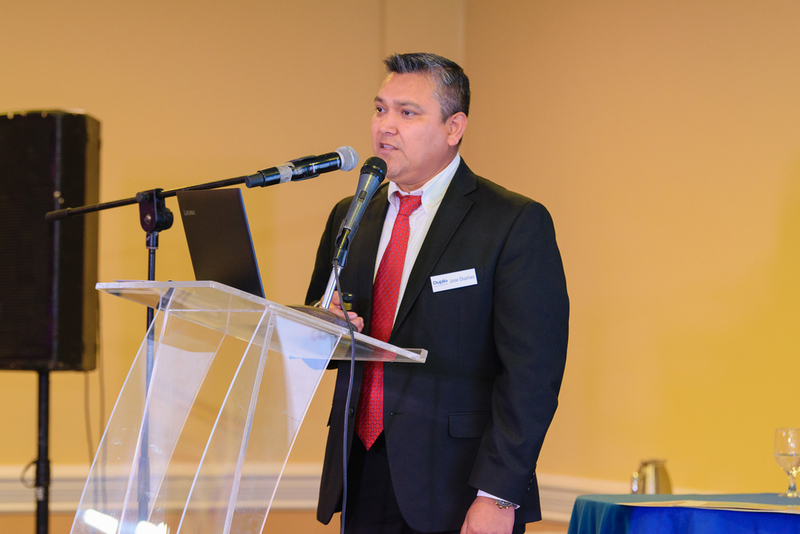 Jose Duenas, Regional Sales Manager at Duplo USA Corporation Latin American Division gives an exciting presentation at the PBS and Xerox Breakfast Seminar last week. Duenas presented Duplo manufactured print-finishing equipment such as all-in-one slitter/cutter/creases, folders and perfect binders, booklet-making and saddle stitching systems for printers in both high production and small office environments. 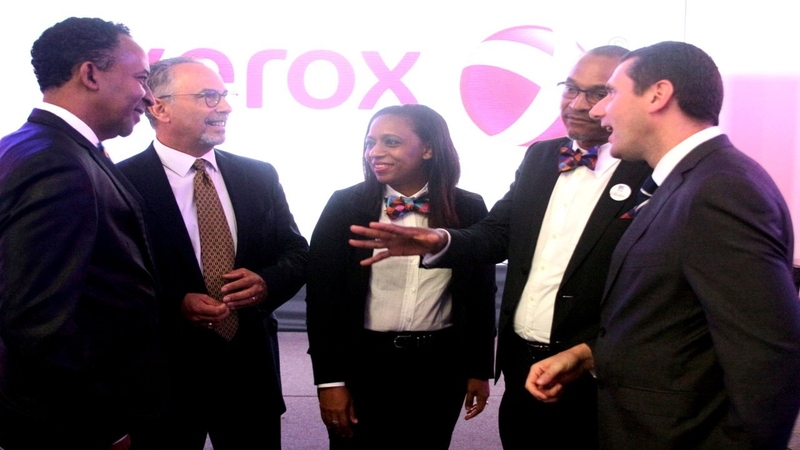 PBS is the largest Xerox distributor in the Western Hemisphere and the Caribbean and Latin American market share as it relates to multifunction printers, especially in the GC and corporate segment. The company maintains regional distribution relationships with other world leading technology brands to distribute printing, computing, networking, storage, imaging, security and point of sale equipment products. In addition, it also provides document management, graphic communication, software integration, outsourcing, facilities management, and other management services.